Dr. Shanafelt is originally from Seattle, Washington, and received his undergraduate degree from Washington State University. He received his medical degree from the University of Colorado, where he was the recipient of the Hippocrates Award as the “Physician’s physician,” the Gold Headed Cane Award as the outstanding student in internal medicine, and the Robert E. Glazer Award for leadership and service. Tait returned to Seattle to perform his residency in internal medicine at the University of Washington where he received the Outstanding Resident Educator Award. He later went on to a hematology/oncology fellowship at Mayo Clinic where he received both a Mayo Brothers Distinguished Fellowship Award and the Summerskill Award for Outstanding Scientific Research. He spent the first 12 years of his career at Mayo Clinic where he also served as president of the Mayo Clinic Voting Staff from 2013-2016. In 2017, Dr. Shanafelt moved to Stanford Medicine to become its first chief wellness officer and associate dean at the Stanford School of Medicine. Clinically, Dr. Shanafelt’s focus is caring for patients with chronic lymphocytic leukemia (CLL). He is a member of the National Cancer Institute (NCI)’s Leukemia Steering Committee and is currently the principle investigator (PI) on 2 Research Project Grants from the NCI. He has been the PI on numerous clinical trials testing new treatments for patients with CLL. Dr. Shanafelt is also involved in the design and conduct of CLL trials for the Eastern Cooperative Oncology Group and is the PI of the phase 3 North American Intergroup E1912 trial comparing fludarabine/cyclophosphamide/rituximab treatment to ibrutinib/rituximab–based therapy for previously untreated patients with CLL. He has published more than 300 peer-reviewed manuscripts and commentaries in addition to more than 100 abstracts and book chapters. In addition to his leukemia research, Tait is an international thought leader and researcher in the field of physician well-being and its implications for quality of care. 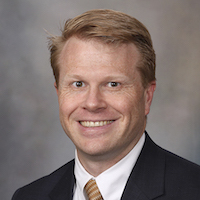 He is the director of the Stanford WellMD Center, and he previously served as the founding director of the Mayo Clinic Department of Medicine Program on Physician Well-Being. His research in this area has involved physicians at all stages of their career, from medical school to established practices, and has included several multi-center and national studies. He has published widely on this topic, including numerous works in the Journal of Clinical Oncology, Annals of Internal Medicine, and Journal of the American Medical Association, and has served as a keynote speaker to the Accreditation Council for Graduate Medical Education, Association of American Medical Colleges, American Medical Association, and American Board of Internal Medicine on this topic. Tait’s studies in this area have also been cited by CNN, USA Today, Paul Harvey’s The Rest Of The Story radio broadcast, and the New York Times. Please welcome Dr. Shanafelt who will share with us some thoughts on how to avoid burnout and find meaning, balance, and personal satisfaction in the practice of medicine.